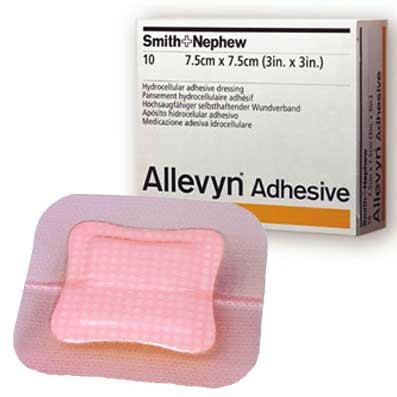 Allevyn Adhesive Hydrocellular Dressing, by Smith & Nephew is a highly absorbent, low-allergy adhesive wound dressing designed to create and maintain an moist wound environment, while preventing eschar from forming, to help facilitate optimal wound management. The low-allergy, non-irritating adhesive coating ensures that the Allevyn Adhesive Hydrocellular Dressing will adhere to the intact skin surrounding wounds, but not to the wounds themselves. 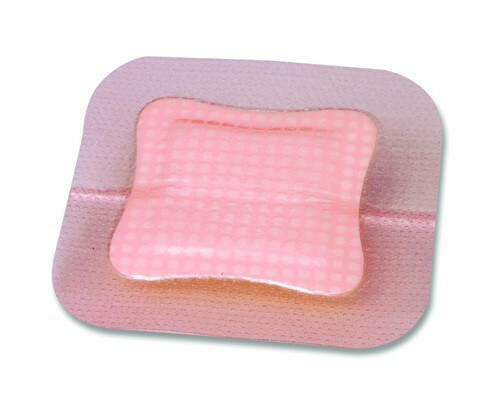 While its perforated wound contact layer provides passing of viscous exudate into the dressing, the hydrocellular core of the dressing in turn absorbs and holds liquid in its microscopic structure, combining with a breathable outer surface to form a wound environment that allows wound closure to progress without the need for frequent dressing changes. 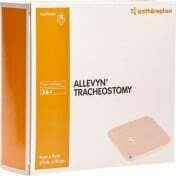 Allevyn Adhesive Hydrocellular Dressing features a profiled cross-section, narrowing to micro-thin edges which helps to ensure the dressing remains securely in place, preventing accidental removal by friction between the dressing and surfaces like clothes or bedding. The waterproof surface provides adequate protection, with a dressing that is soft and cushioning, resulting in excellent patient comfort and protection during the healing process. Tapered Construction With Micro-Thin Edges. 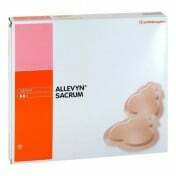 Aids In the Prevention of Bacterial Contamination Cushioned Comfort. It looks like a lot of fluid is coming from the wound. It's a bed sort wound. And it has a foul odor. It this normal? The adhesive is still securely in place. This item stays on but isn't difficult to remove. Its water resistant and stays on during a shower. Got this for my Mom who is elderly and because of a stroke sleeps on one side only. She developed a bed sore and I could not get it to heal as she continues to sleep/lay one the same side s this hip sore. 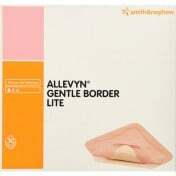 Got this product and am impressed that it stays on even after a shower, provides comfort because of the padding, and best of all - the sore is healing. Have left it on for 3 days and it still works wonderfully - keeps airtight, dry, and stays put. Adhesive is strong so must be careful to remove it, but very impressed with results! Have ordered more to keep on hand. I was impressed with how fast the ordered product arrived. However, the box was badly banged up and the lid open. Fortunately, it didn't make any different for this product but it might have mattered for something else more fragile. This bandage was originally given to me by the socialist medical clinic in Portugal. It works and it was free (well I paid for it in taxes). The bandage works to help heal venous stasis ulcers. Try it! Only too bad it it is so expensive here in the USA! 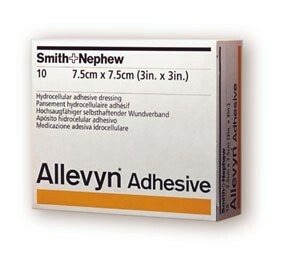 A wound care nurse recommended this product and it really did the job! Really helped heal a pressure sore. Thanks! 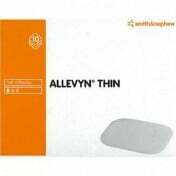 Allevyn is the best product out there to heal decubitus ulcers, I have found Vitality Medical very effiecent in getting the order to me a promptly as possible. 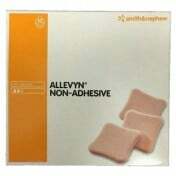 I have found this the best site to purchase Allevyn Adhesive Hydrocelluar Dressings.